If it's been quiet on the Blog, it's possible because I've been logging mega-mileage, 20k+ vertical weeks every week, slogging through the snow and dark, maybe even secretly bagging local peaks every day before breakfast. Alternatively, I've been busy with school/work, and running boring road loops around the town. More frequently the past, I've generally tried to find new places on weekends, often involving a drive, and I've mostly exhausted all the interesting options within 90 minutes or so. Sticking closer to home reminds me of something Brandon said awhile back on his sparse Blog, about the familiar loop being a sort of "patrol" around the neighbourhood. I like that observation, and I'm cool with that. So while my routes may have an aspect of repetitiveness on the surface, the boring routine provides a deeper relationship and better contrasting backdrop for noticing change. The seasonal changes are more obvious, so that each "new" phenomenon provides an extra incentive and motivation to run. The first shirtless and sunburn runs are worth a small cheer and asterisk on the calendar, but after the weeks pile up into months and years and thousands of miles, the appreciation of subtle gradations expands. That is, you appreciate not only the first snow run, but also the first "fat flake" snow, horizontal snow, drifted powder, slushy slop, and full moon reflecting on snow cover on a clear night run. Rain has its own list as well, with the first seasonal appearance being notable for the smell of it; perhaps combined on warmer days with the electricity of an honest thunderstorm. Of course, the birds and animals and insects (such as the plague of shin-bashing grasshoppers each summer) come and leave and change size and colour in different waves throughout the year as well, and throughout the day: sometimes when I'm chagrinned at "only" getting in a short run in the early evening, a coyote or owl reminds me of the benefit of procrastination. Finally, there's the human element, of seeing familiar and new faces without names, but also plenty of friends along the trail, worth a quick, full stop and conversation. 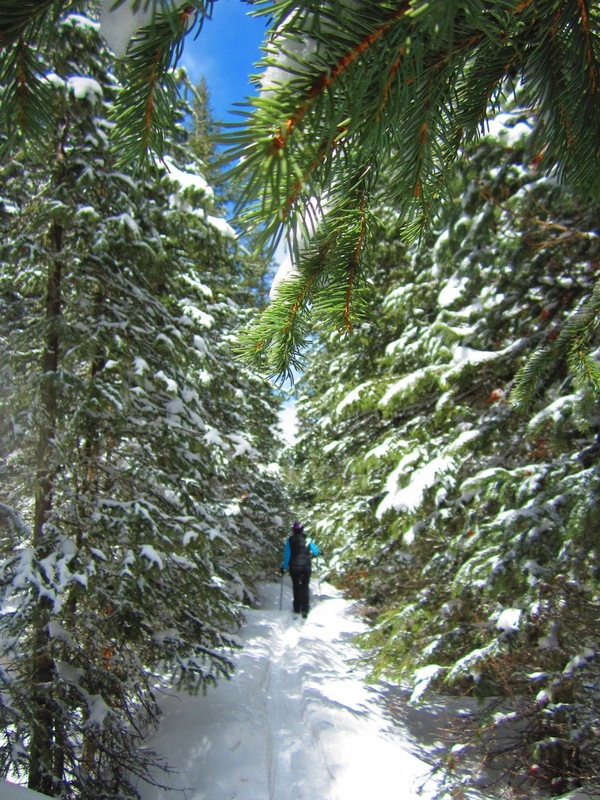 This is truly a great community with world-class paths, trails, and people that enjoy them. And whether we realize it or not, every time we're out jogging in town, we're part of the advertisement and image of what the town is about; likely, some tourist or visitor is seeing us out on the trails, and then deciding that this would be a pretty cool place to live. (At least that's what happened with me, when I went for a jog on the Spring Creek trail in February, 7 years ago, and enjoyed the views of the foothills as well as the semi-rural feel of the open spaces). And part of the "patrol," then, is seeing the other changes around town: new housing and business developments, but also new parks, trails, and infrastructure. Running up along the Mason trail gives an inside view of the Max rapid transit being developed along the north-south spine of Fort Collins. The linkage to the future can also be appreciated bi-directionally. Over time, I've appreciated learning about the history of running in Fort Collins. The Horsetooth Half Marathon is now in its 40th year, and although I've only run it once, I've run or biked hundreds of miles on the course, which has changed over time from rolling dirt roads to pavement and bike paths of today. What will the history of Quad Rock be 10...20 years from now? Among an appreciation for the trials that she overcame throughout life, I very much enjoyed the "local" parts of the book, after she moved to Mountain Avenue (home of the annual "Mountain Avenue Mile" race in August) in Fort Collins. There's mention of Centennial and Bingham Hill workouts, as well as City Park and Grandview Cemetery, the latter of which are still enjoyed as group workouts with Colorado Hall of Fame runner Jane Welzel. So you have this town with roads and trails that were good enough for Jane and Kim, and Jon and Kent, and now Nick Clark and Ryan Burch on the trails. But it's also "good enough" for any of us to jog or ride or push a stroller or rollerblade (which never goes out of style!) Everybody that is out there is defining the landscape of the community itself. Similar to a race, it doesn't matter if you're 5th or 50th or last place in terms of the importance of being out there, for everybody adds a bit to the greater good. But it's not the same thing as spotting a "celebrity" at the checkout line in an L.A. department store; when Jurek and a group of folks takes a leisurely group run on the "boring" trails and roads around your very neighbourhood, it gives you a bit of pride that some guy you read about years ago is now enjoying the same run that you've done countless times. So I guess the "local patrol" isn't so bad. As far as "local trails" are concerned, we've got Quad Rock coming up in less than a couple weeks. 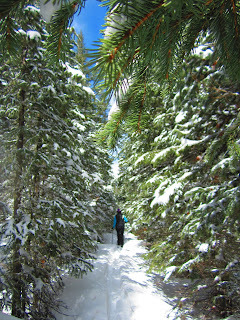 We've had a snowy and fiery and then snowy again winter, but last weekend many folks were out on the trail. It looks like we're awaiting news on some final bridges getting repaired, in terms of following the planned course, but they'll figure out one of several options with only minor detour that will give us a great 50M course. As for conditions, we're supposed to get a bit more snow tomorrow, but that will make things only greener by next week (as the temperatures return to normal). Already, the low parts of the valley, which I usually associate with being a treeless, hot, and dry trudge in the summer, are absolutely stunning right now, with short, green grass growing right on top of the previously blackened soil. Some of the remaining trees are blackened, in an area among the Timber Trail switchbacks I've dubbed the "Black Forest", yet stand out starkly against the mint-green valley floor and red rock walls. It's going to be great, and it looks like lots of fast people are showing up to run fast -- let them! I'm looking forward to sharing a nice day on the trails with friends on our town trails, although I'll still try to get the running part done as soon as possible so as to enjoy more Pateros Creek beer. This winter was a rude guest that showed up late, and then looked like it would never leave. On a vague personal note, it felt like it also pushed us down, and gave us a few kidney punches for good measure. But you know what? It's almost over, I think. For the first time in months, I feel rested and recovered mentally, so with the return of Spring, I expect and insist my energy, enthusiasm, and optimism to return as well. The biggest part of that, metaphorically, is not fighting what you don't have, or perhaps expected -- but making the most of what you're given. This year, we were given lots of snow, late. So why not have some fun with it? With that, J and I headed up to Winter Park for a quick weekend of skiing. First up was a day of downhill on the closing weekend: $40 lift tickets. 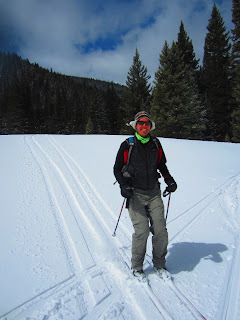 This was only our second weekend skiing for the year, but we enjoyed some pretty great conditions for Spring, including a fresh dusting of snow each day. The slopes were surprisingly uncrowded, so that we never had to wait in a lift line. I also got a jog in, on the dirt roads along Elk Creek, with the sun being delightfully warm and high in the sky for a late afternoon ramble. We didn't go to the free 4/20 Julian Marley concert, but instead chose to beat the expected rush of hungry ski bum rastafarians by heading to Hernando's Pizza Pub, then returned to the condo to make a new wood fire in the fireplace while light snow fell: an awesome date with my wife. 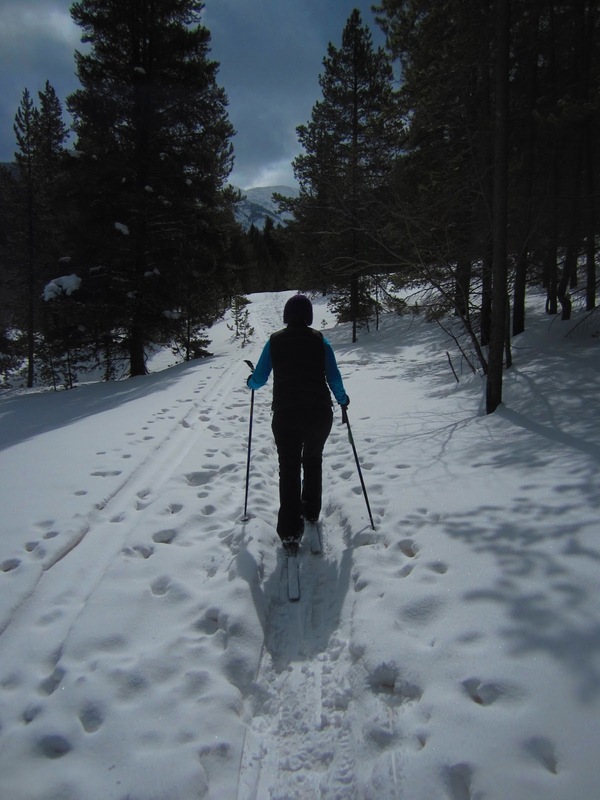 Next day, with a fresh dusting on the ground, we clipped into our cross-country skis instead for a mellow tour up the Jim Creek trail. This out-and-back is an easy hike or snowshoe up a moderate grade, that ends up being perfect for a worry-free ski glide on the way back down, with no real steep sections or rocks to contend with. Starting at the "Bonfils Discovery Center" parking lot right across from the WP ski area, the trail heads into the James Peak Wilderness, in the shadow of the eponymous 13k foot mountain, making one (or at least me) wonder if "Jim" Creek is also named for famed botanist Edwin James, who may have gone by the nickname "Eddie Jim." Or maybe not. We only saw 3 or 4 other people, otherwise enjoying a quiet couple hours in the woods. Getting closer to James Peak, it was nice to "connect the dots" on the other side of the Divide, directly across from a February ski tour to Rogers Pass. Once warmer weather arrives, I'll look to finish it up with a jog to the summit, hopefully garnering some interested company for the highly aesthetic Berthoud-Rollins Pass run. 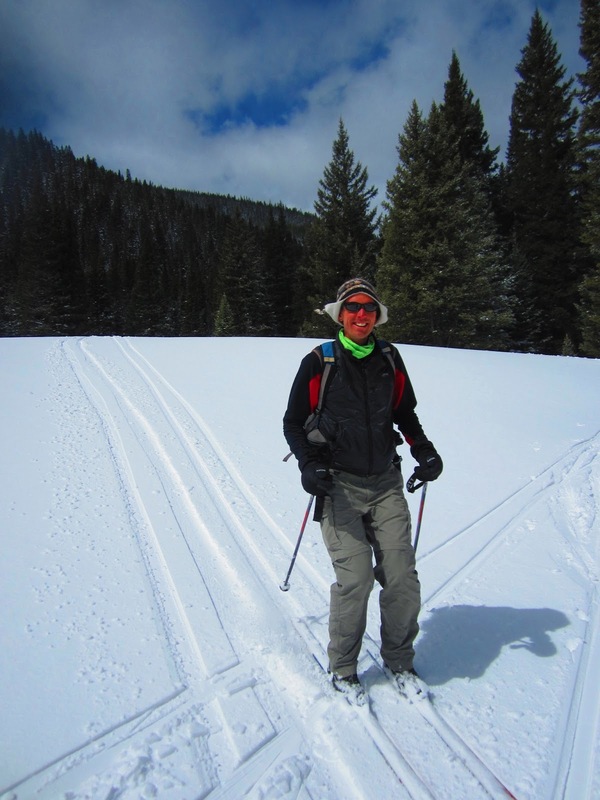 We did fight a bit of sticky snow in some open areas, but continued upward until taking a break at an open, sunny-sloped meadow, somewhere between 2.5-3 miles in. Returning, we had just enough speed to keep the skis free of clumping snow. Another great day on the trails with the wife and on the skis. But also very much ready for Spring! 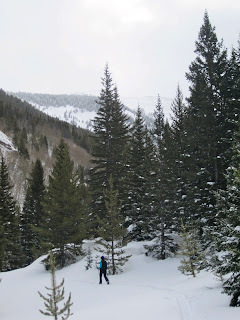 J and I had found ourselves down in Lonetree a couple weekends ago, so we looked for an easy, nearby hike -- preferably staying out of the forecasted high winds. After a nice breakfast at Cafe Terracotta in Littleton, we headed south to Roxborough State Park. I'd been to Roxborough before, when we lived in Denver, and ran a nice loop involving nearby DougCo Open Space trails that drop into the park. I figured J would enjoy the best part of the trail up to Carpenter Peak. The trail climbs steadily and gently through a scrubby, elfin forest. The summit has decent, but not spectacular views to the west. The views to the east, over Chatfield Reservoir and towards Denver, are probably more unique and interesting for the area. This is a pleasant, leisurely hike (and an easily-runnable grade) near the Denver area, and another Colorado State Park worth checking out. Easter Sunday was predicted to be a nice, clear morning, so it seemed like a good idea to get outside. I recall that we had done something similar the previous year with our friend DJ, giving us the makings of a pleasant tradition. (Separately, I also heard of some friends that have a tradition of jogging up in the hills near sunrise -- Easter seems like a nice draw to celebrate a beautiful morning and the coming of Spring). 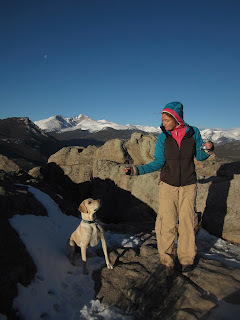 This year, we added DJ's dog, and decided to head out to Estes for an easy hike up Kruger Rock. As advertised, it's an easy trail, full of great views for less effort than most alternatives. Even the meadows and Park below are worth a leisurely walk at any time of year. It was a bit blustery at times, but felt great in the sun, and we had the entire place to ourselves for a couple hours. We forewent the opportunity for exploring the connector trail to Homestead Meadows, but instead hung out at Kind Coffee, being grateful that they were indeed open on Easter while also serving their consistently-excellent Dark Roast 422, always with a smile and a great bring-your-own mug refill price, and it was the right time to finally pick up a copy of Lisa Foster's RMNP hiking guide. Hope everyone was able to get outside and enjoy a pleasant Easter weekend!